Any evaluation of geological processes in the permafrost zone is complicated by the rigorous climate and the general inaccessibility of such areas, which has resulted in insufficient information on territories in permafrost zones. The aim of this study was to delineate areas of geological processes in the zone of the discontinuous permafrost of Western Siberia based on the example of the Beregovoe oil and gas condensate field. An integrated approach using remote materials, the data from a walk-over survey, and laboratory testing of soils for the future pipeline was used. 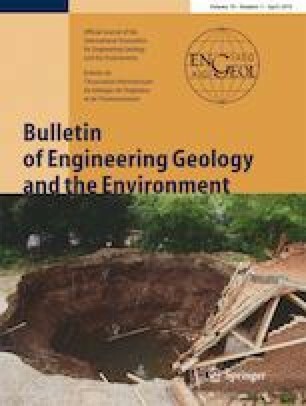 To estimate the prevalence and dynamics of exogenous geological and cryogenic processes, we described the climatic, geomorphic, geological, hydrogeological, and engineering–geological conditions of the territory as the basis of their emergence and development as well as the methodical issues of remote sensing. The recognition of landforms produced by different geological processes depends on the size of the landforms being mapped, their morphological expression, and the contrast between the disturbed landforms and the surrounding undisturbed areas. We defined the interpretive signs of major exogenous processes in the satellite images of the area and created a map on a 1:100,000 scale showing the distribution of geological processes at different geomorphic levels. This approach can be used to assess exogenous processes in other Arctic and Subarctic areas. The research was carried out at Tomsk Polytechnic University within the framework of Tomsk Polytechnic University Competitiveness Enhancement Program grant.